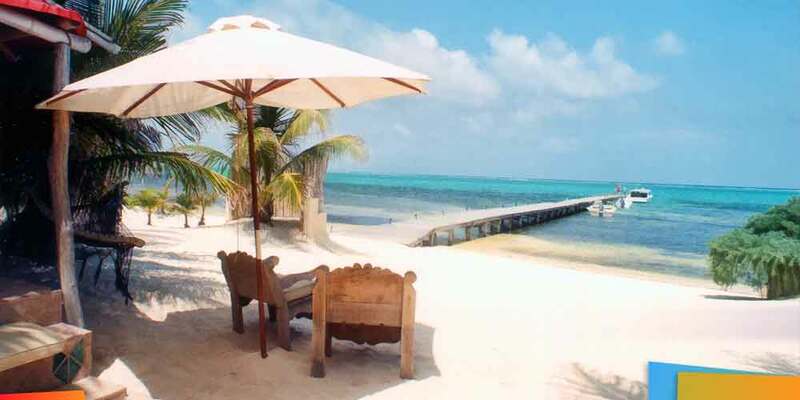 Ambergris Caye, Belize, March 23, 2017	(Newswire.com) - Through Belize’s aesthetical diversities, it is indeed one of every traveler’s dream countries to take their steps. Boasting its vast network of amazing national parks, wide wildlife havens and stunningly beautiful aquatic areas, Belize is surely included in anyone’s must-see destinations on their bucket list. Recently, Southwest Airlines, the world’s largest low-cost carrier initiated its first direct flight to Belize’s Philip Goldson International Airport that departed from Denver. With the expansion of Southwest Airlines connecting the highly-populated city of Denver to the Jewel, opportunities for travelers are infinitely escalated to experience the unforgettable wonders of the small country. This opens endless tourism opportunities in Belize, which has existing stellar tourist spots and destinations that are making some noise in a global scale. With the continuous support of Belize’s Minister of Tourism and Civil Aviation, Manuel Heredia Junior, the impressive milestone of his beloved country fuels a further boost to Belize’s tourism. Situated on the eastern coast of Central America, the flight to the astonishing country is made easy and possible by Southwest Airlines for locals in the area of Colorado. Beginning this June 2017, Southwest Airlines will offer a daily service to Belize from the international gateway in Fort Lauderdale in addition to its projected services targeting the West, the heartland, and the Eastern US. Seeming to be a very viable and meaningful relationship between the prestigious airline and the small paradise, Belize’s Chief Tourism Officer Abil Castaneda believes that it is a unique privilege for Belize to heighten the exposure of the country to the southwest United States and even the larger North American market. Not only increasing the tourism market of his precious country, but the “mutual partnership” of the airline and Belize also opens the door for Belizeans to have a more convenient bridge to explore the US. Tourism in Belize remains a key foreign exchange earner, and the prominent airline’s expansion opens the door for both Denver and Belize assures a more stable tourism industry. Arguably, since the tourism of Belize relies on its American customers, Deputy Chief of Mission, US Embassy Adrienne Galanek notes that Belize’s tourism industry is more likely to be critical particularly in lean times. And with Southwest embracing this project, a promising tourism market is on the books for Belize. Heredia commends the work of Southwest, saying that the airline has been a very good partner with Civil Aviation and the Government of Belize. And when it comes to Southwest improving the tourism of Belize, the arrivals of several tourists will indeed make a difference which the Minister believes what the country needs. But with all the talk, what does Belize really has to offer for avid travelers? Belize is known for having a unique landscape, giving the opportunity of experiencing an adventure in Central American jungles and exploring the stunning Caribbean Sea in the same place. The sight of the astounding jungles of Belize may be the first thing you’ll notice, housing thousands of unique and exotic floras and faunas. There are archaeological sites that can be found in Belize, where enormous steps lead to tops of stone temples dating back to the Mayan civilizations. The small country-paradise also houses one of the most aquatic resources in the world, giving you the opportunity to activities such as scuba diving, kayaking, windsurfing, and snorkeling. These are only some of the thousands of activities and sights you will definitely enjoy at Belize. And for Southwest incorporating their services to the area of Western America, Belize’s tourism industry is a door opened by the reputable airline.